Keeping in mind the current population status on Neltharion and lack of demand for the Cataclysm expansion, we have come to a decision that Neltharion will be decommissioned in this month and the entire state of characters will be preserved for the future if in any event the demand for the cataclysm expansion arises. We have no exact date as we are still developing the systems for upgrading and downgrading. As soon as we are done, we will add a specific date and time for the decommission. Postponing is possible but not expected. For the remaining players on the realm, we offer the possibility to continue playing on our Mists of Pandaria realm, Frostwolf or downgrading their characters and allowing them to play on Icecrown. All characters will be duplicated and will be available on Frostwolf or Icecrown to play. Neltharion was the name of our very first realm and we are sad to see the name fade into history, perhaps in the future it could be repurposed and the flag of the Black Dragonblight will be hoisted once again. For now, it will be etched in our past. We have come to the conclusion that downgrading will no longer be a possibility, after much testing, downgrading would be the equivalent of re-making the character entirely, with a conversion of over 100,000 different parts of the character needing support. The following details outline what to expect when upgrading to Mists of Pandaria. - Players that have used coins on Neltharion in the past will have the option to select a basic gear set when upgrading. - Players that have used coins on Neltharion in the past will receive instant level 90. - Recustomization is provided with all upgrades. - A cap of 100,000 gold has been placed on all upgrades. - Specializations and all class spells must be relearnt. - Stackable consumables must be unstacked to use them once upgrading. - Companions are not upgraded as Mists of Pandaria introduces the battle pet system. - Items, mounts, professions, reputation and pets are upgraded. 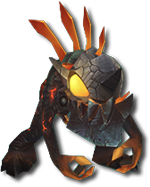 We have pushed back the release of upgrading slightly to add conversion of companions into battle pets. - Achievements and Achievement Progress, Statistics that exist in WOTLK. - Professions without recipes, and skill caps reduced to that of WOTLK limits. So in essence, everyone will receive the above + a fresh level 80 character, with a free recustomization and a "level up" gear set (the same as those selectable on the level up service page). This will likely be released over the next few days. Players that have already transferred to Mop will be able to transfer the same character down to WOTLK too, meaning you can transfer both ways. Other things still have not been decided upon. What happens to coins that were spent on items and services for Cata characters? this feature to copy characters to Icecrown/Frostwolf realm will be Free for Neltharion players? R.I.P. Neltharion Realm. Was good expansion. What about our gear, mounts and other items? It should go with you. We are not sure what exactly will follow to Icecrown and what kind of conversions will be there. That is why there is no exact date. We are still working on the system. Until we are sure, there will be no announcements containing specific information. What if i have chars on Neltharion and Icecrown on the same acc? I have 10 chars on Neltharion, mostly 403ilvl+ and i have 10 chars on Icecrown (not so geared), will i have to delete chars on Icecrown to be able to transfer chars from Neltharion ? So how exactly would a character transfer from Neltharion to Icecrown look like? Let's take a BiS geared character on Neltharion as an example. Would that character then get full BiS gear on Icecrown? Also would there be any gold compensation or will the new char on Icecrown start with 0 gold? So there is no hope for fresh Cataclysm realm:( thats sad news. Can we have our coins back? I don't want equal gear on wotlk or mop, I dont want to play those expansions. It would be very unfair if you wouldn't allow this.